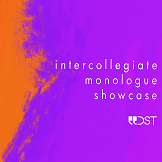 DST's first Intercollegiate Monologue Showcase is a chance for DST's performing members to stretch their acting skills, and perform in front of an audience! Come along for a relaxed evening of monologues and duologues from some of the society's members. Please contact theatre.coordinator@durham.ac.uk with any questions.